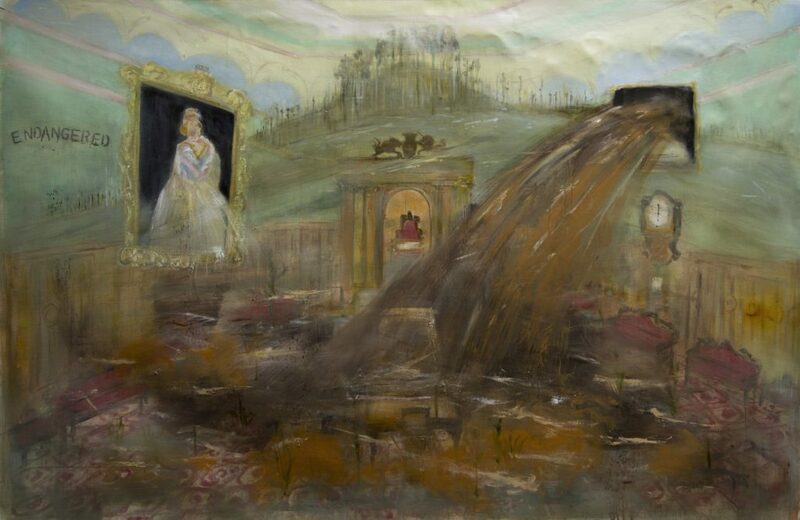 Rodney Pople produces confronting images, environmental vandalism, human prejudice and political corruption, all are fair game for Pople. 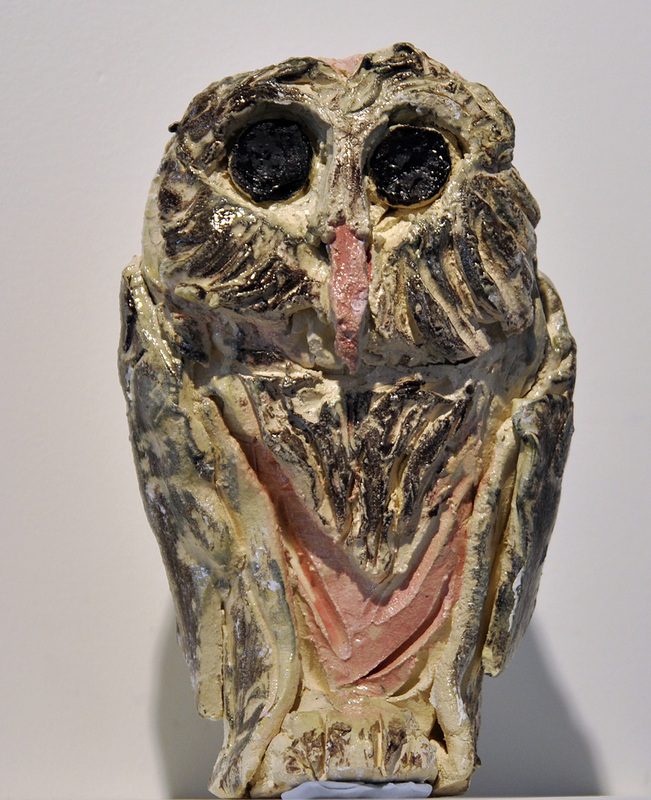 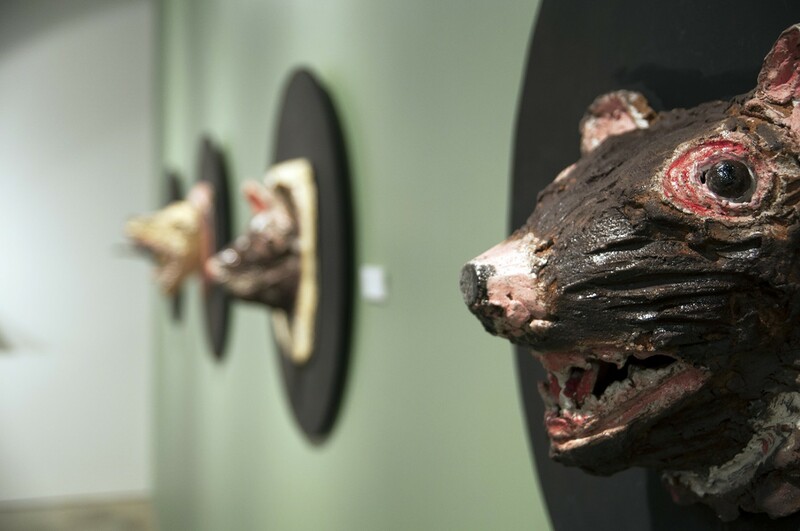 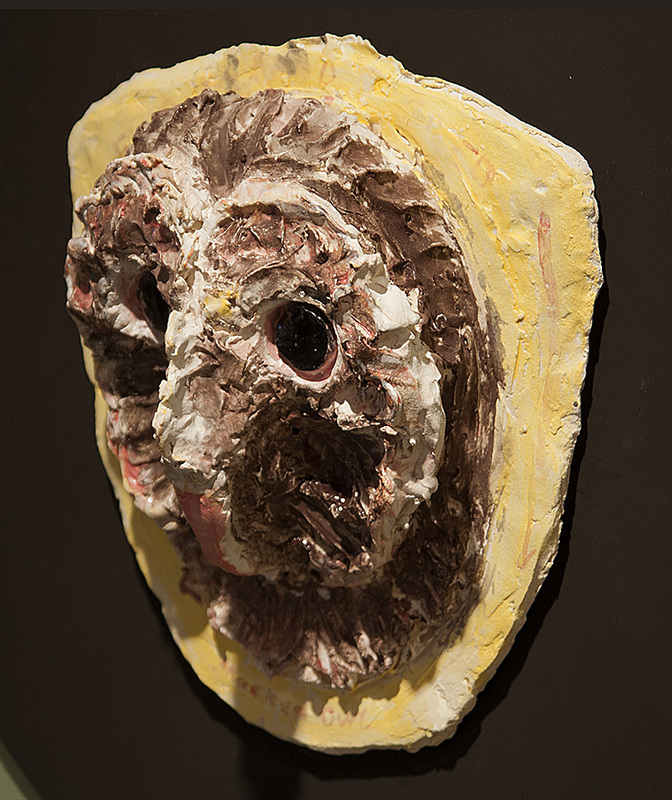 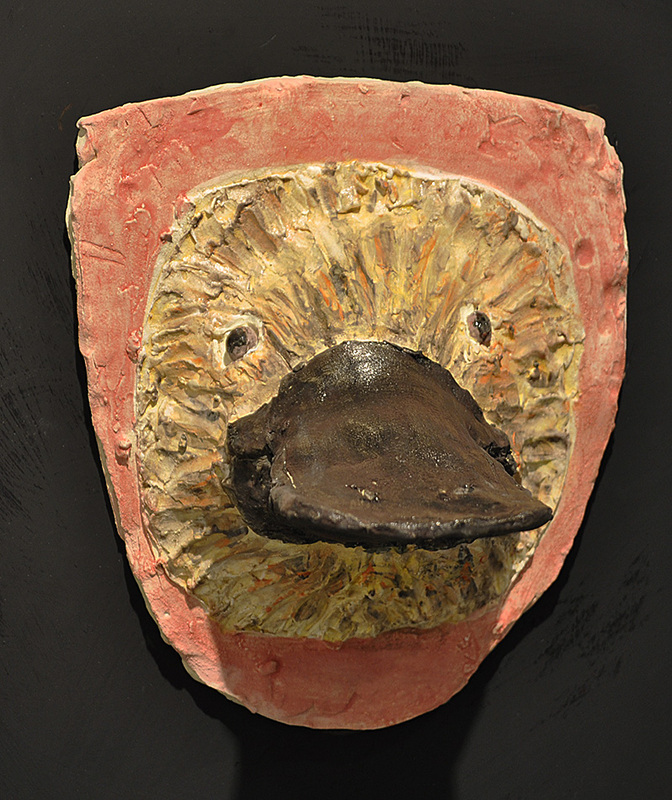 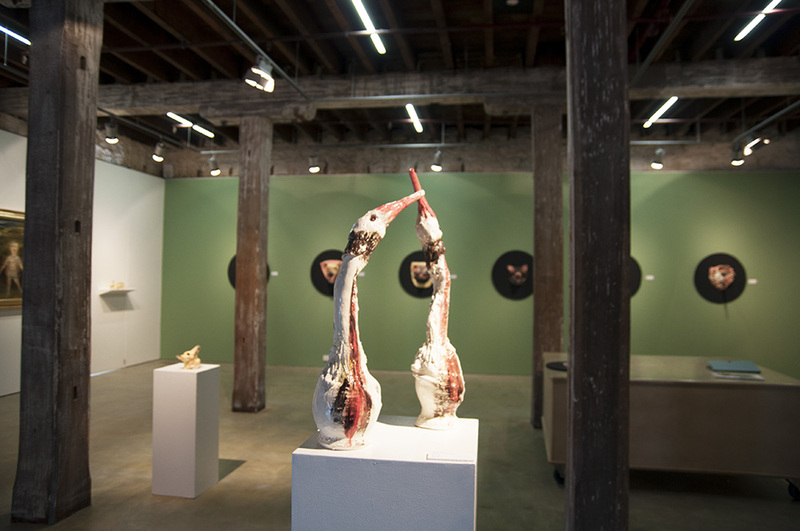 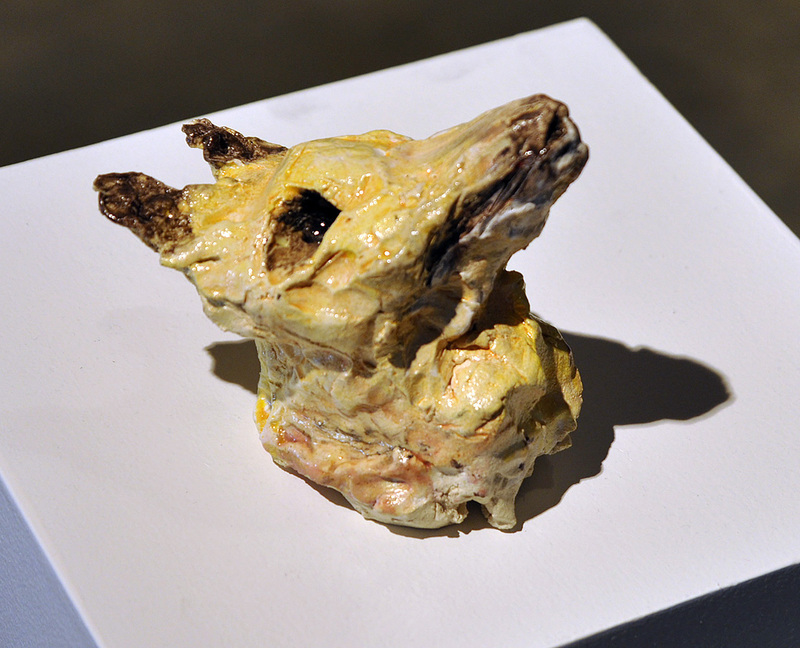 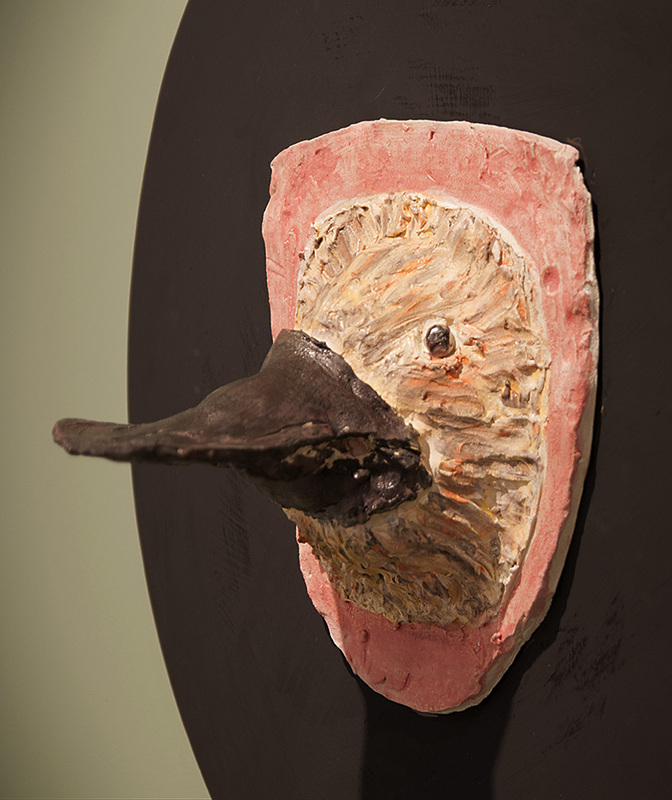 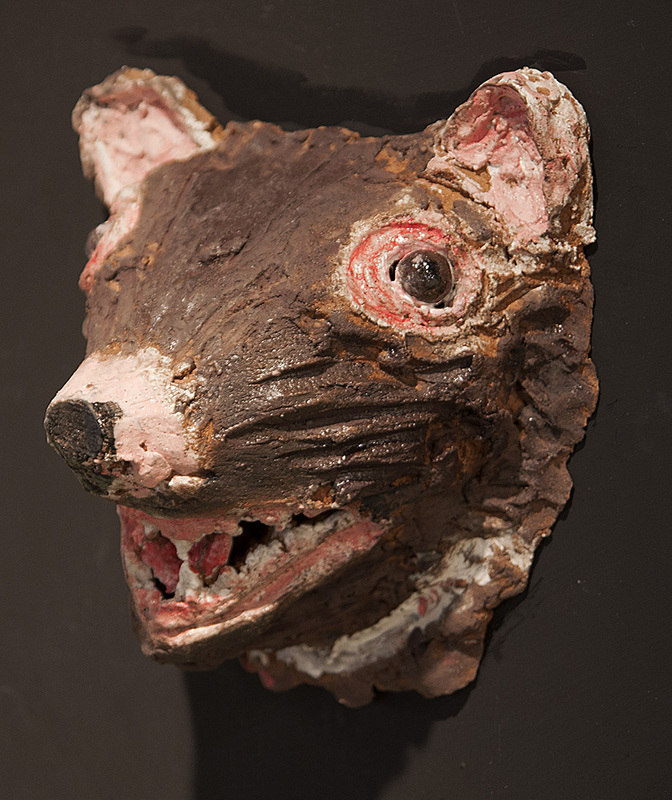 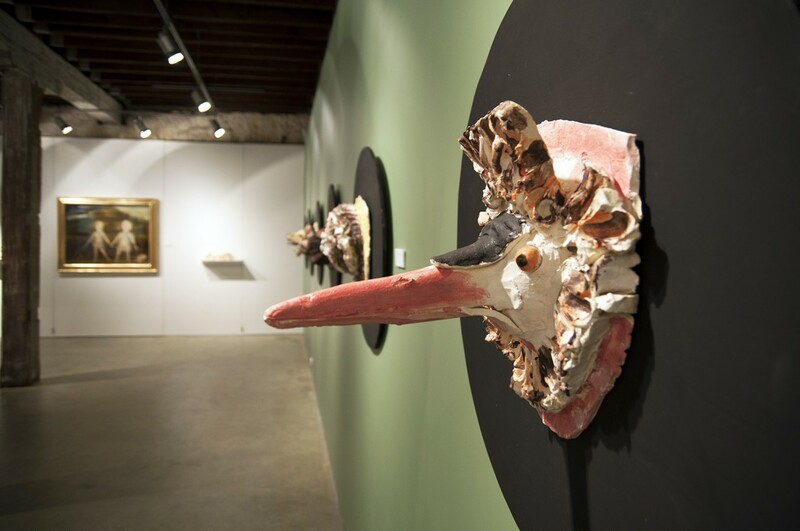 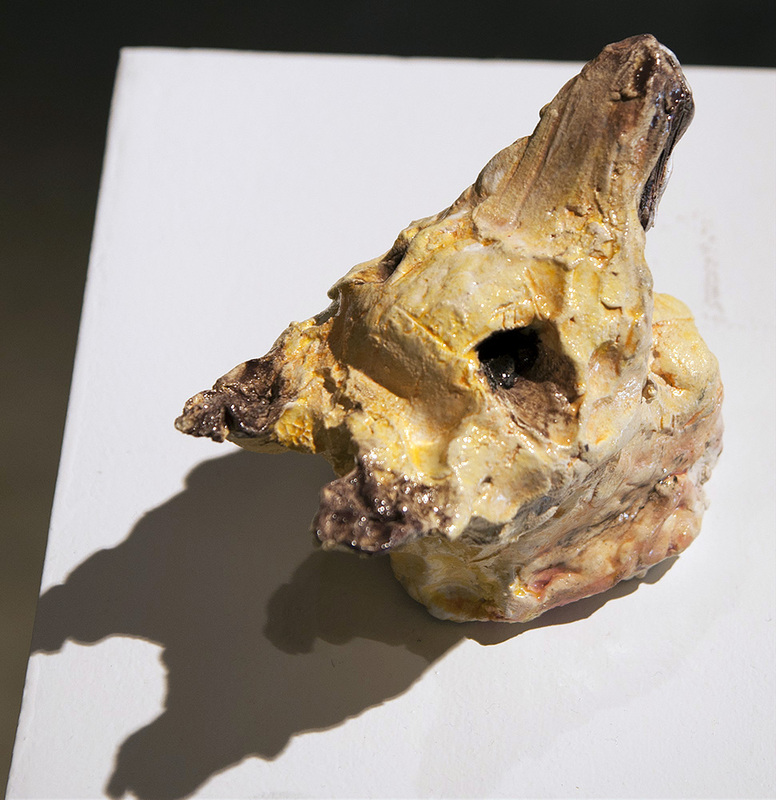 The exhibition Endangered sees the artist return to his roots as a sculptor, using ceramics as his medium, Pople has produced a series of ‘Trophy Heads’ mounted in the manner of a Dickensian Gentleman’s library, the taxidermist skills preserved the endangered creatures for selfish pleasure. 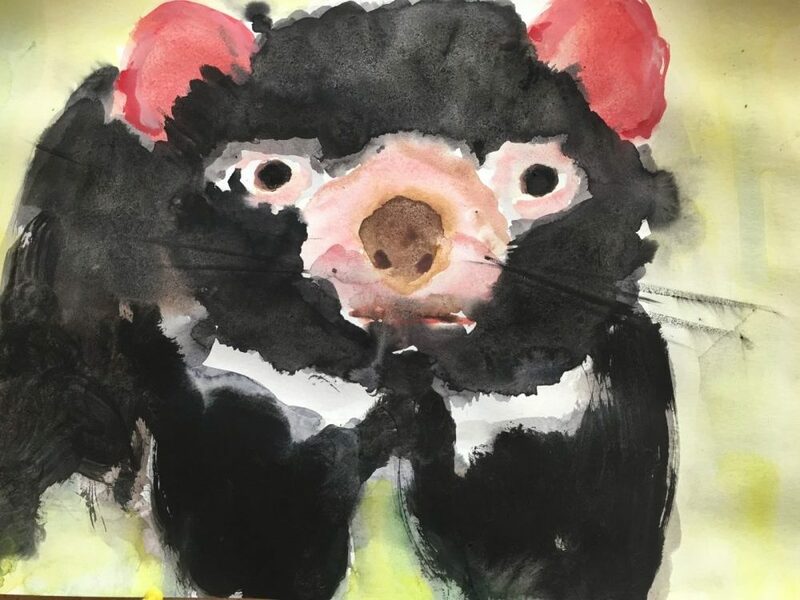 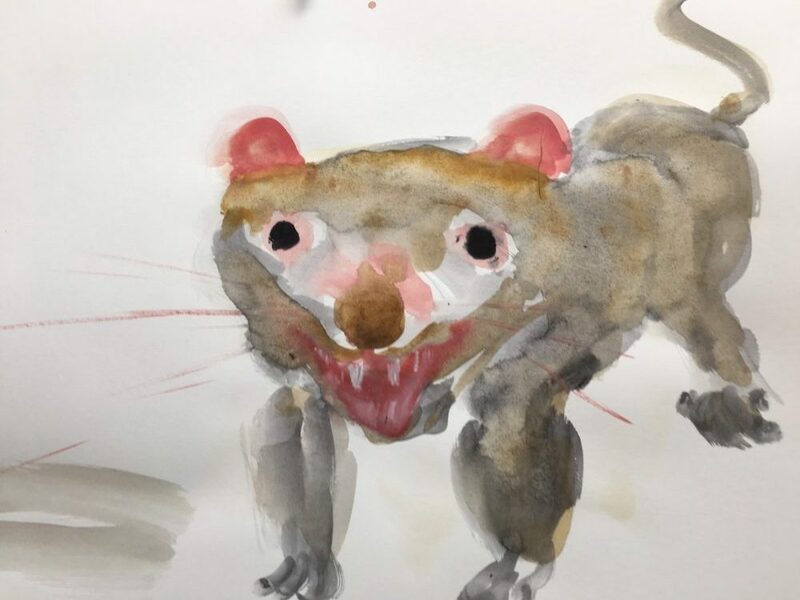 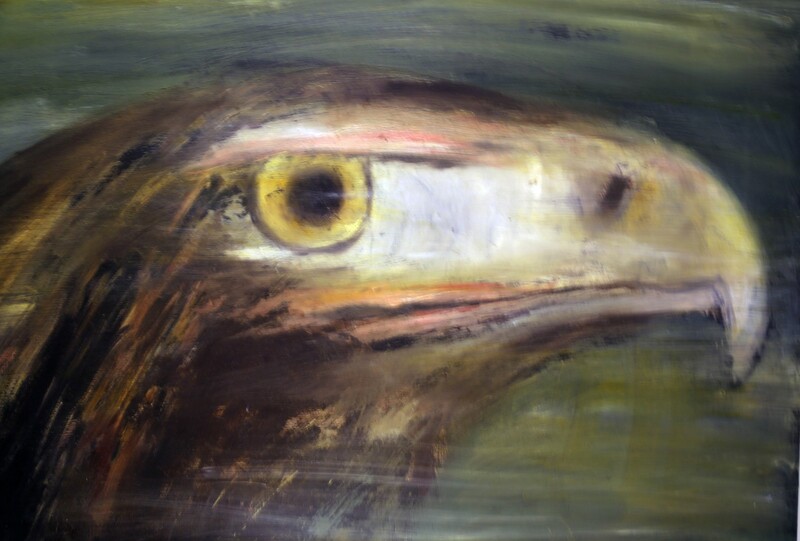 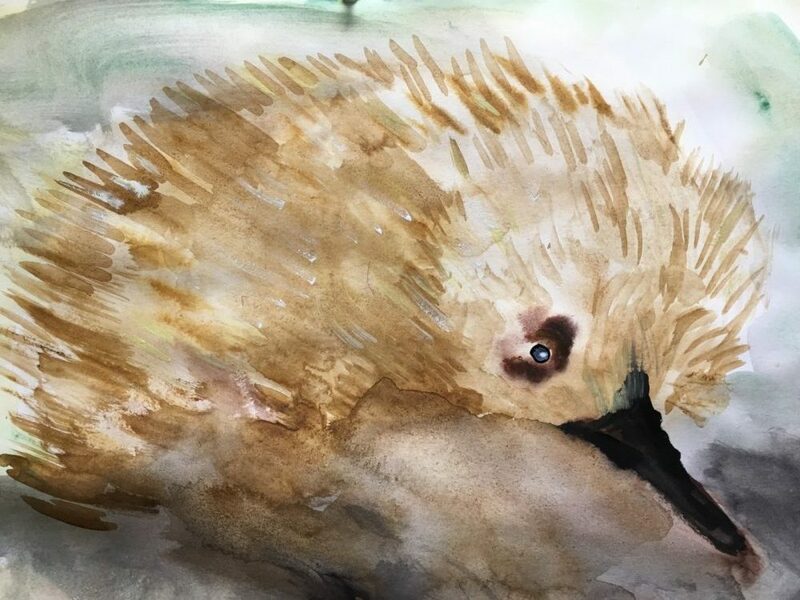 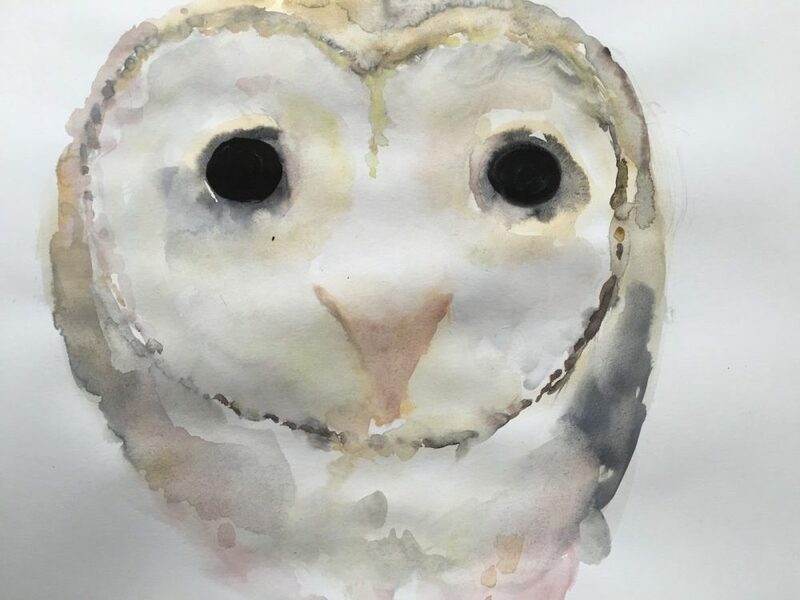 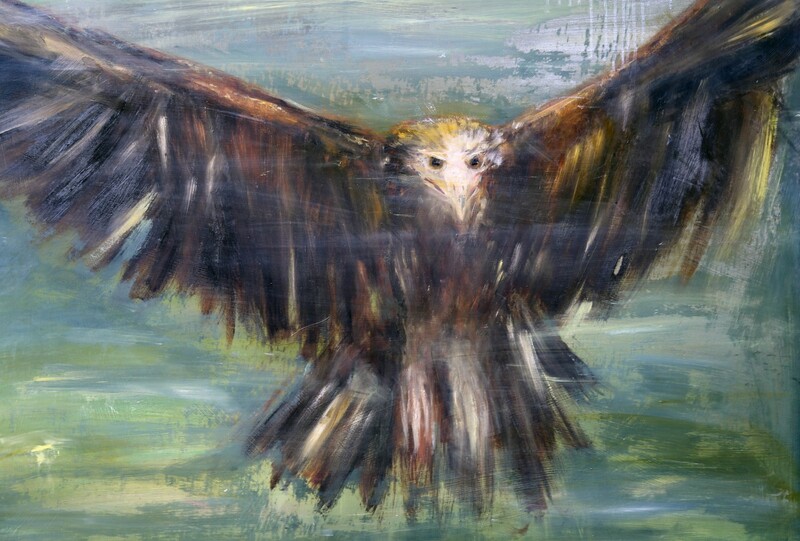 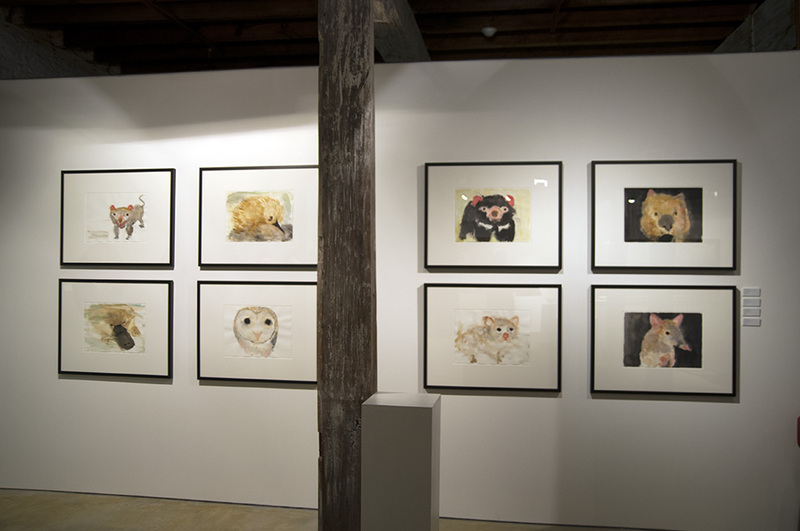 The exhibition also contains a series of paintings in which endangered Tasmania species are superimposed in institutions of power such as parliament buildings and churches. 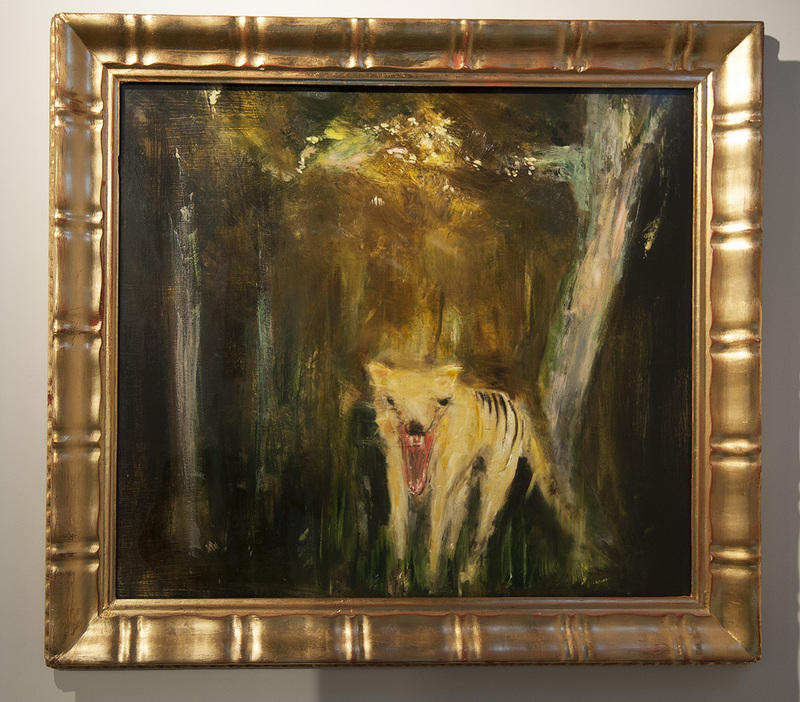 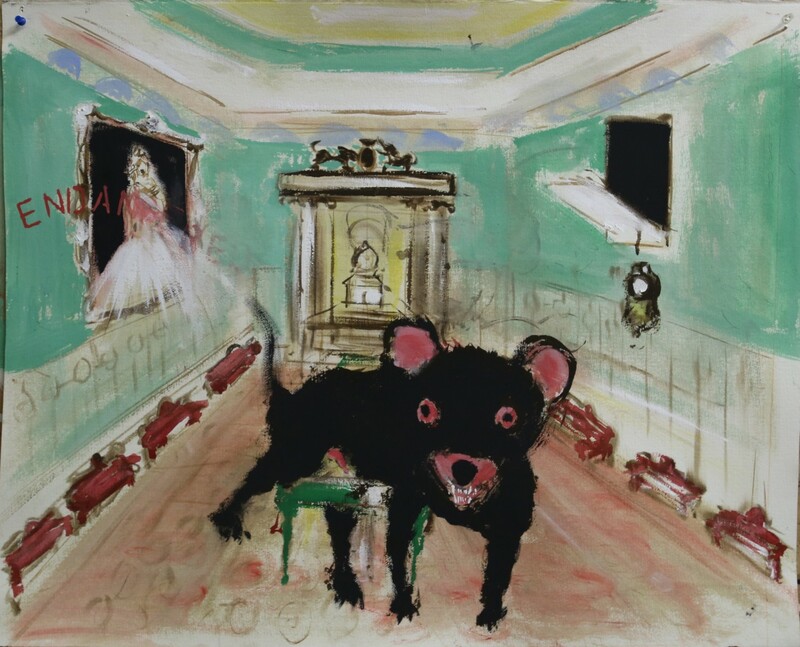 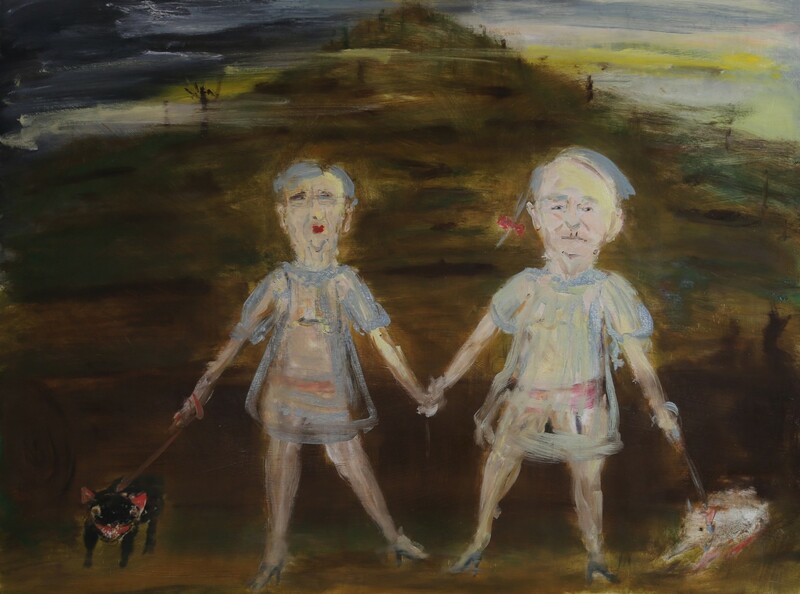 The paintings are key examples of Pople’s ongoing commitment in his work to addressing abuses of power. 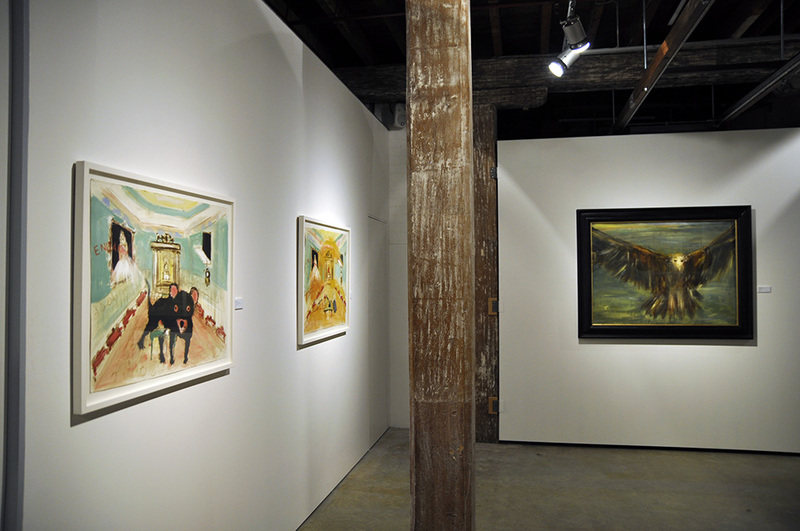 Pople’s work is well-known for its provocative views of the world, including of Tasmanian themes. 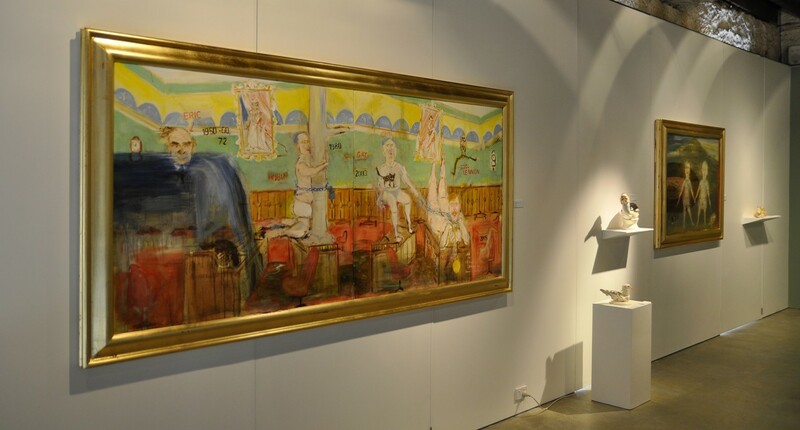 His painting of Port Arthur, which included the small figure of Martin Bryant caused an uproar when it was awarded the prestigious Glover Art Prize in 2012. 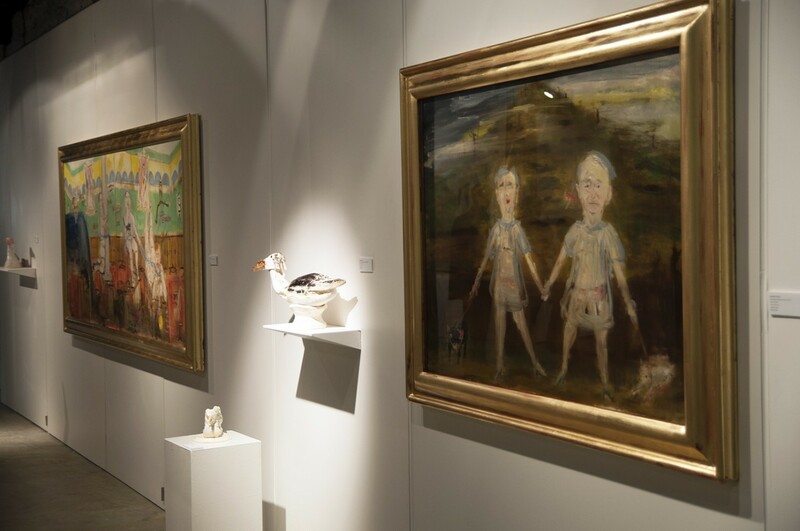 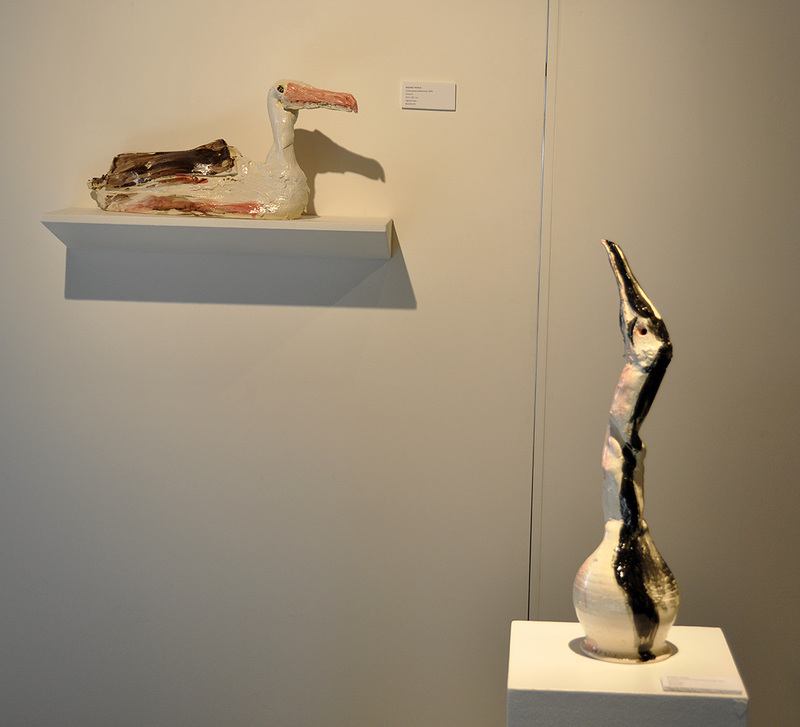 Best known as a painter, this exhibtion will represent the first ceramic sculptures Pople has made in 25 years. 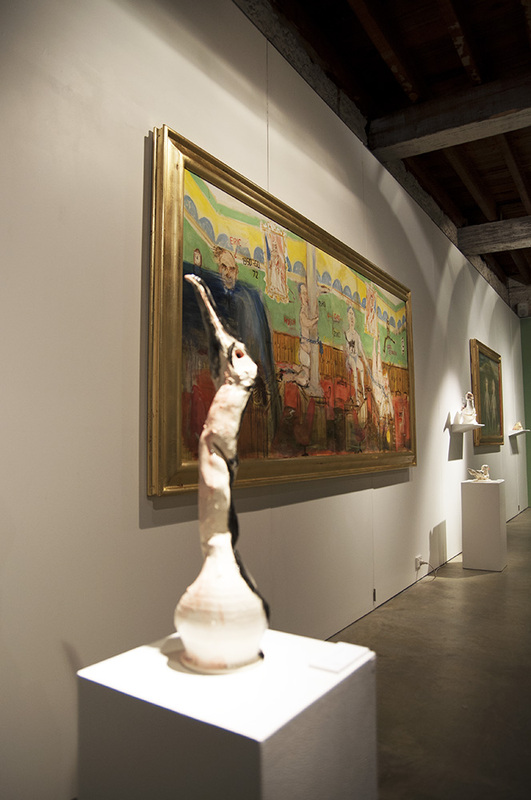 After completing his undergraduate art studies in Hobart, he studied sculpture at the New York Studio School and Slade College in London. 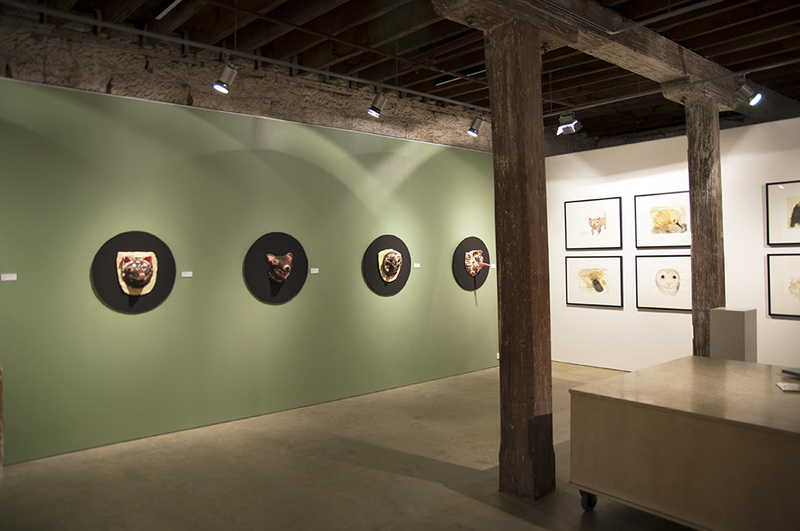 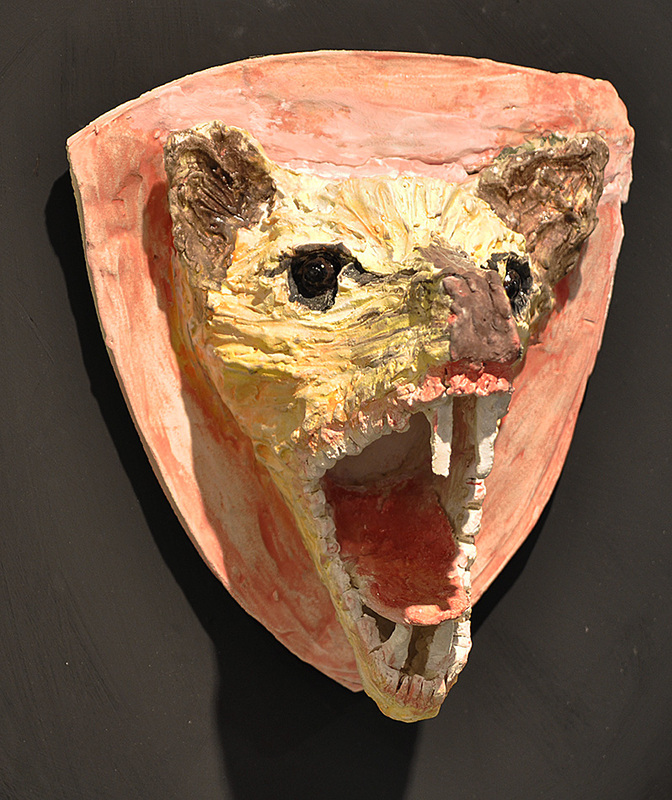 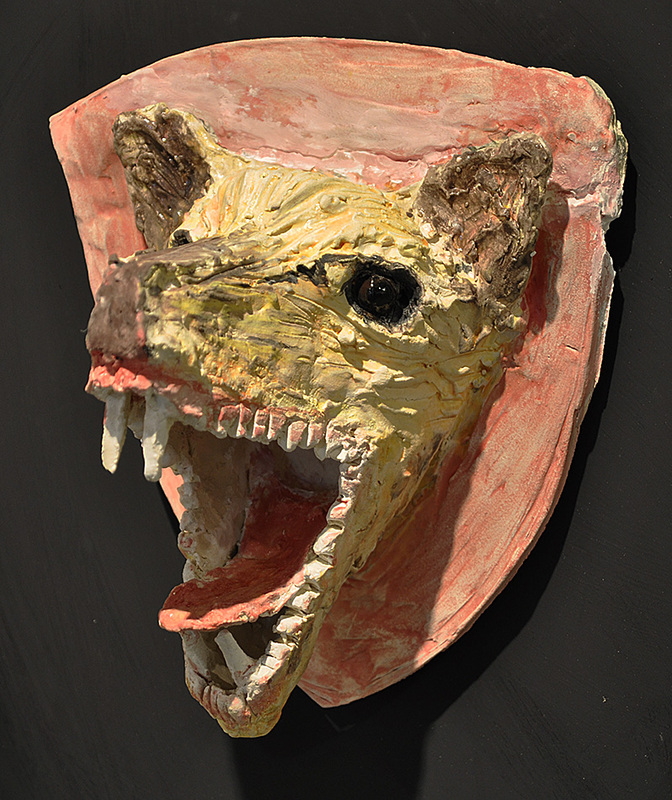 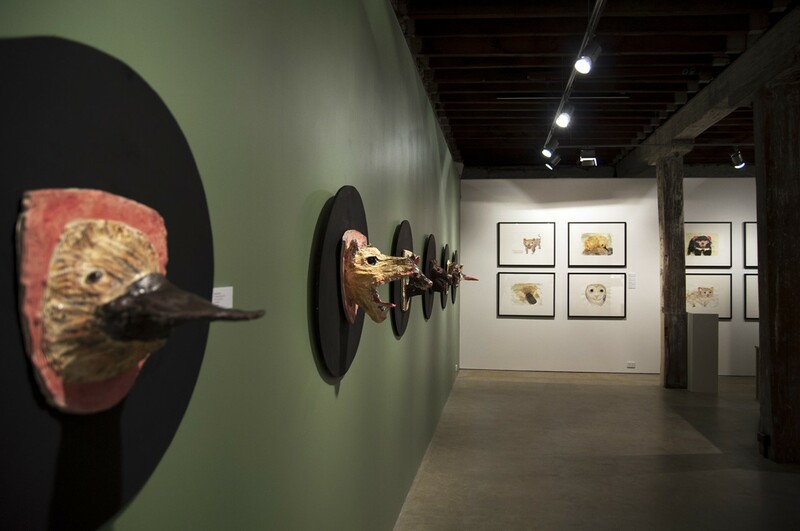 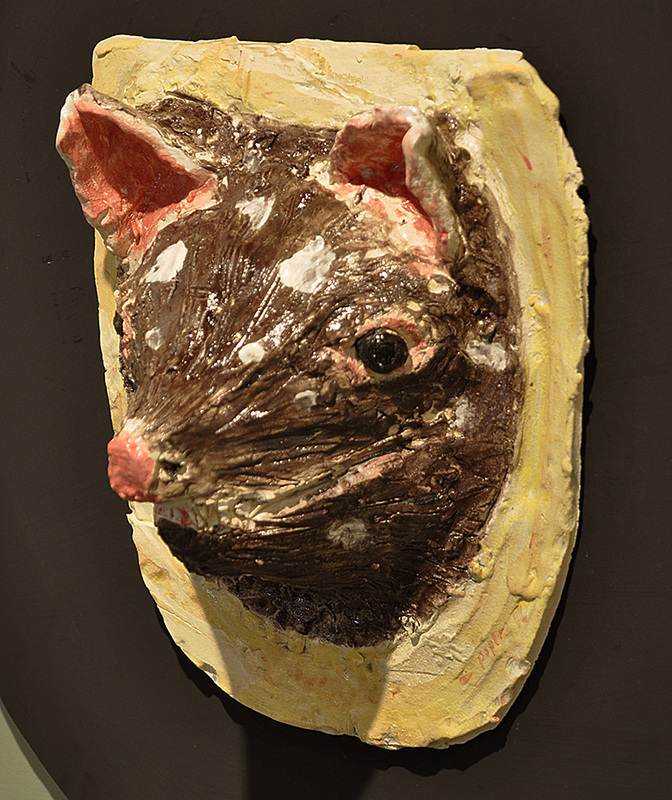 The Sydney-based artist has returned to his first discipline, sculpture, and to his home city of Launceston to create a series of ceramic animal heads representing endangered and extinct Tasmanian animals. 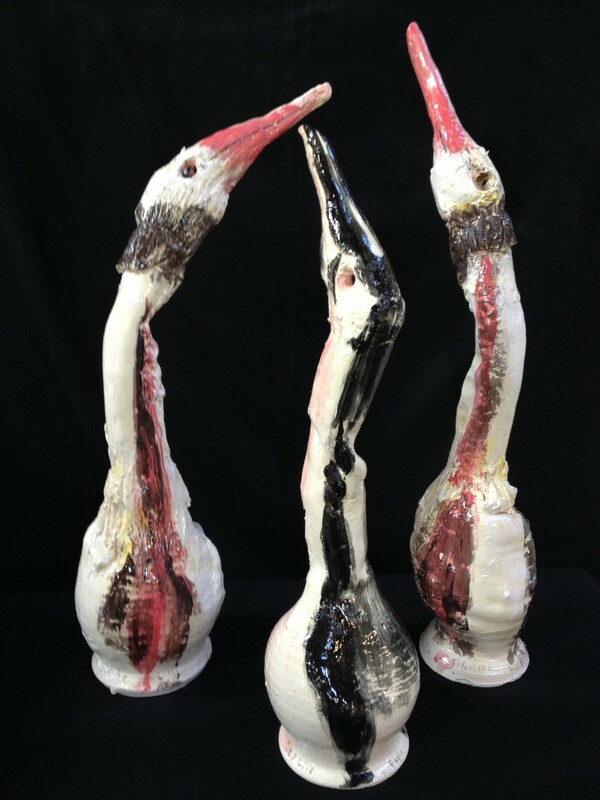 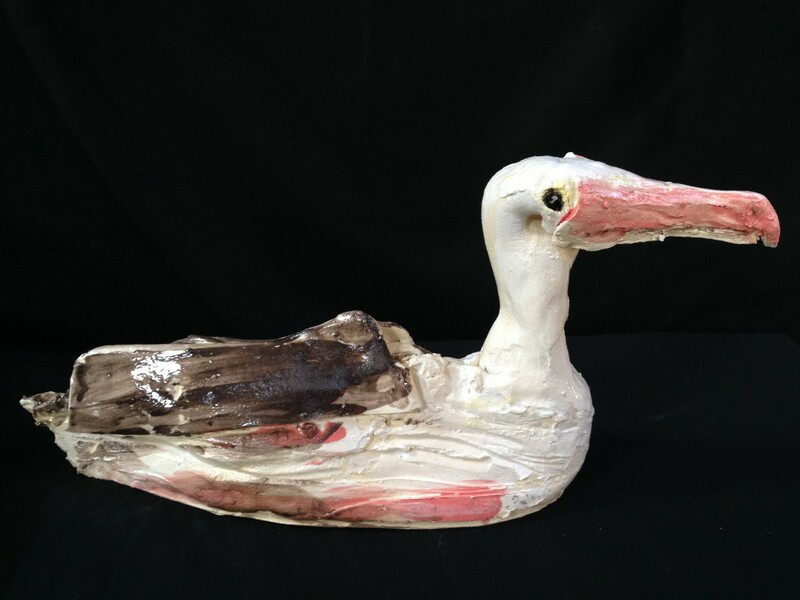 The ceramics were made at the Tin Shed studios in Inveresk. 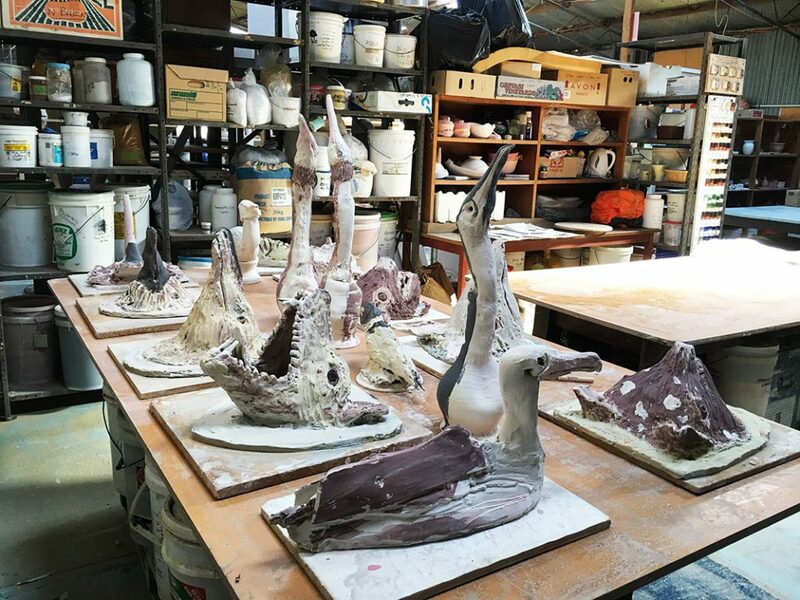 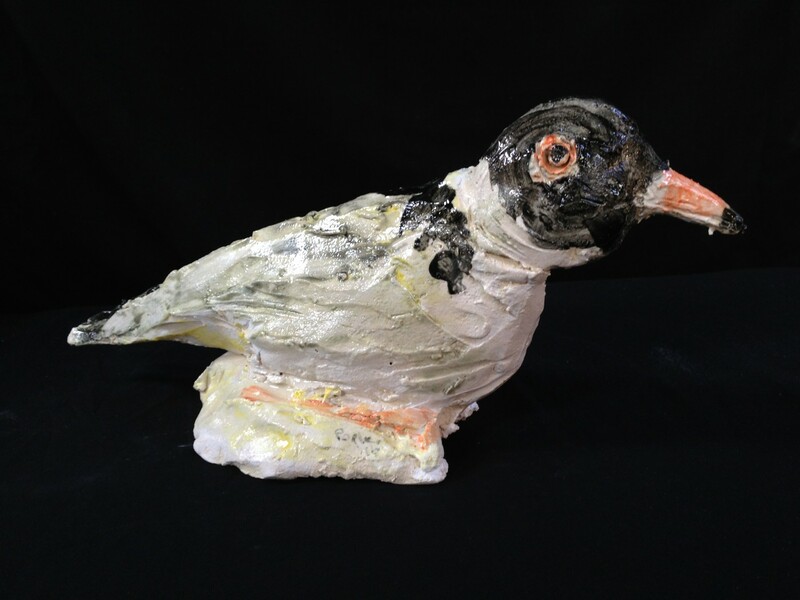 The Studio has given Pople the opportunity to create this important body of work in his home state, sculpting numerous Tasmanian endemic birds and animals that are extinct or under threat as a result of man’s folly. 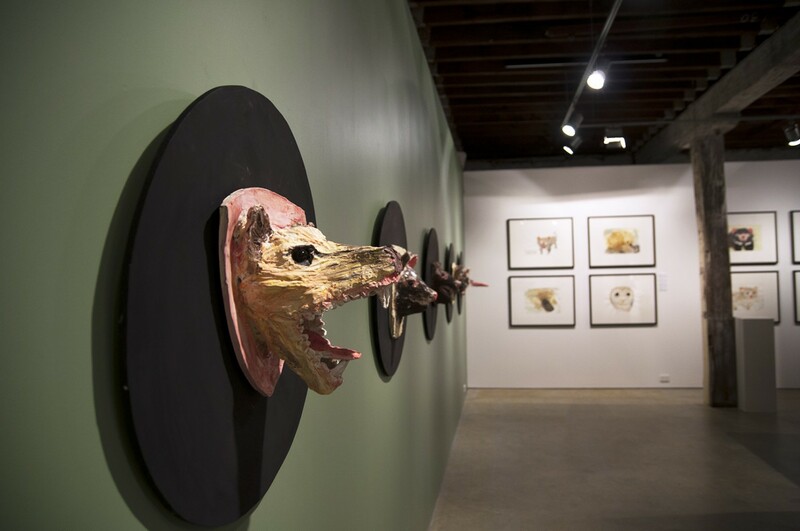 ” The sculptures play on the idea of hunting trophies – the heads of hunted animals that are traditionally wall-mounted in country bars and aristocratic homes. 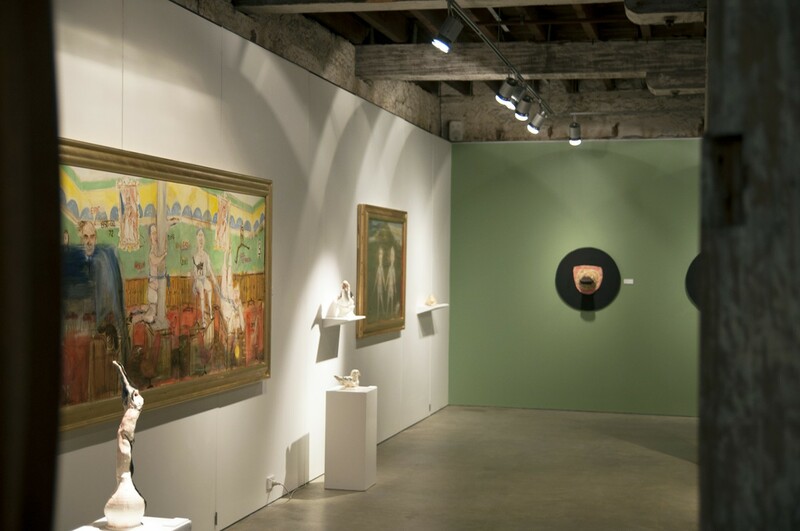 Yet they also have a formal affinity with the tradition in sculpture of creating sculptural busts of revered men and women through the ages: royalty, politicians, community leaders and acclaimed sporting or cultural figures. 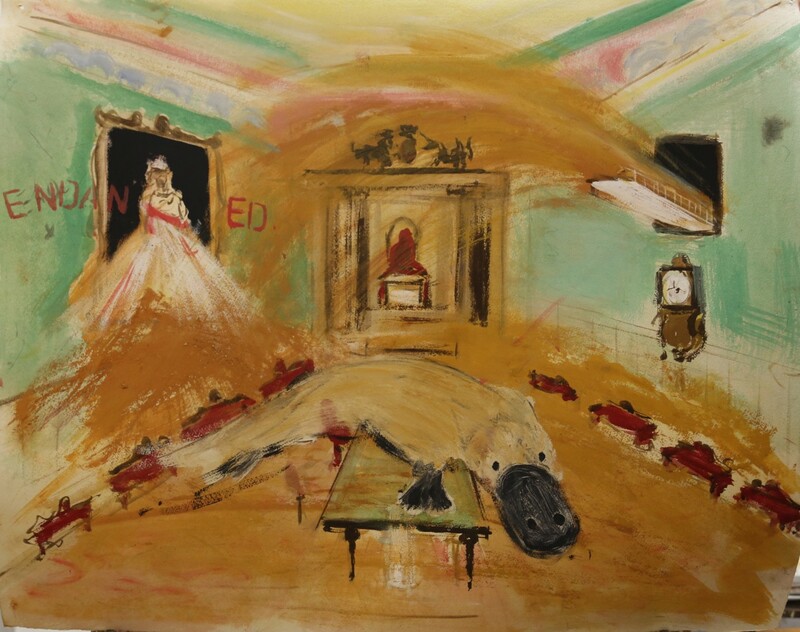 This conceptual slippage between the hunted and the leaders is of interest, as I see many endangered species occupying this in-between status of being reviled (hunted) and revered (adored)”.